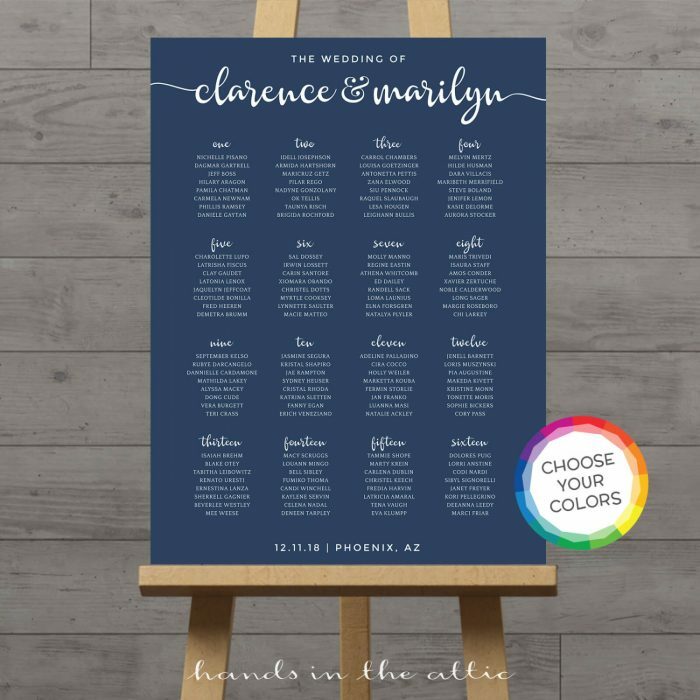 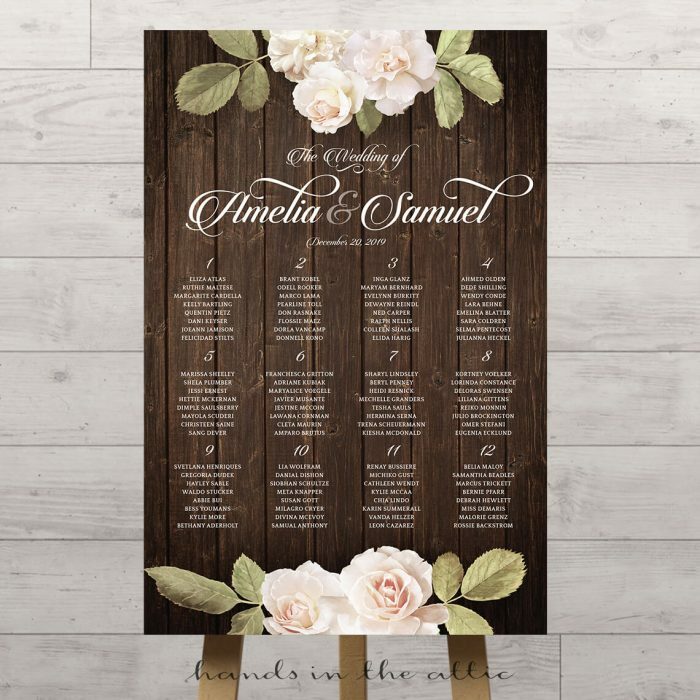 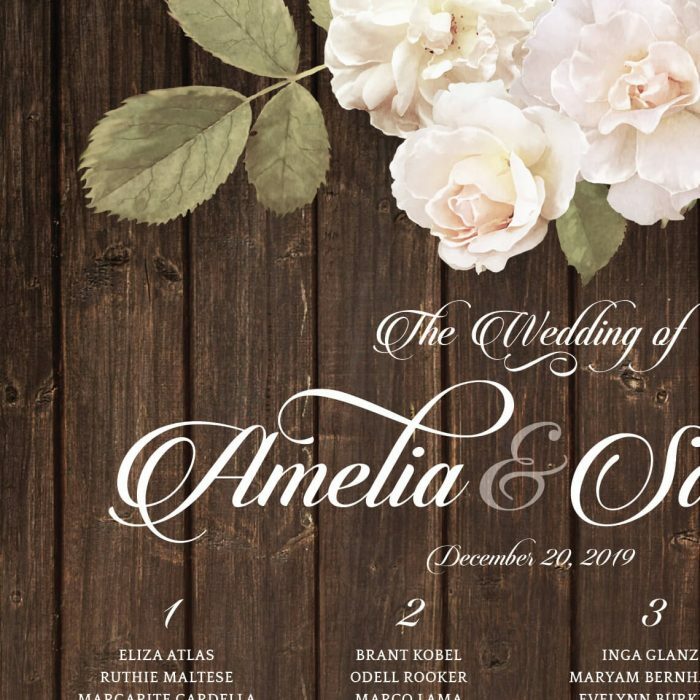 Make it easy for your guests to find their seats with our Vintage Floral Wedding Seating Chart. 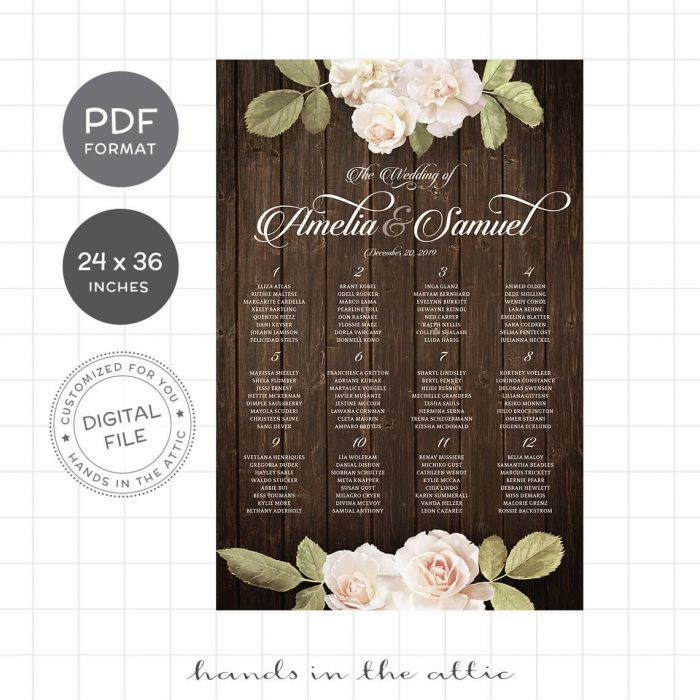 A design of white flowers frame the top and bottom of this chart. 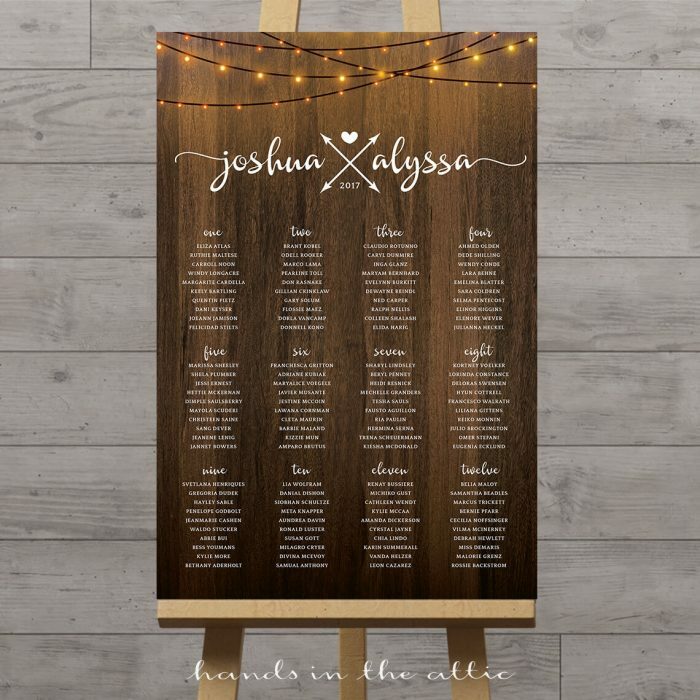 Choose to display the names by table or by alphabetical order.